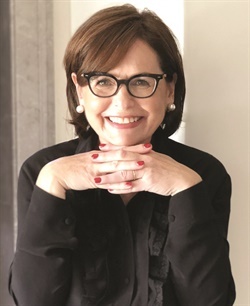 As you might expect, Suzi Weiss-Fischmann, the co-founder and creative visionary behind OPI Products, has quite a story to tell. In her new memoir, I’m Not Really a Waitress, Weiss-Fischmann explains how OPI transformed from a small dental supply company into an iconic beauty brand, and how she herself evolved from “little Zuzi Weiss,” an eager if somewhat awkward young immigrant, into the “First Lady of Nails,” as one fashion editor dubbed her. I’m Not Really a Waitress is set for release on March 12, 2019. Click here, to read a Q&A with Weiss-Fischman.